What's better than a new car?? New furniture!! I don't know about you, but cars to me are just a mode of transportation. I could never tell you the newest model of a car or notice what people drive. But ask me what their dining room furniture or sofa looks like and I got it!! 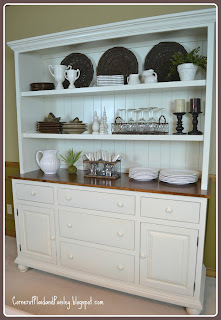 So that is why I am so excited over my new dining room hutch! 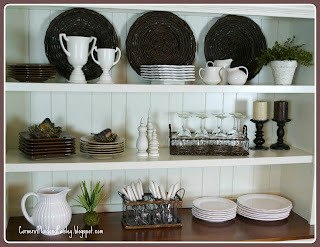 I have never had any kind of dining room buffet or hutch before and now that I have collected a number of dishes over the years, I was in need. I found a picture of one that I liked, never finding it in a store, I went to Amish Country and had them build it. Or at least a close copy. The guys I worked with at Swiss Valley Furniture in Walnut Creek were great. After many decisions as to how deep the drawers would be, what kind of doors, the finish, the knobs and so on - we placed an order. After almost 3 months - it was delivered today!! And I am thrilled with the outcome! I had more fun filling it up and styling the shelves. I was like a kid a Christmas. These were all things I had, just going with a kind of neutral pallet for starters. Since this will now be the back drop for most of my tablescapes, it will be changing often. So for those of you that enjoy that new car smell, I am getting the same thrill from my new dining room hutch! Ooh, congratulations on your new hutch!! It's such a beauty and it was so worth the wait. Have a wonderful time decorating it throughout the seasons. Oh, what a wonderful new addition. 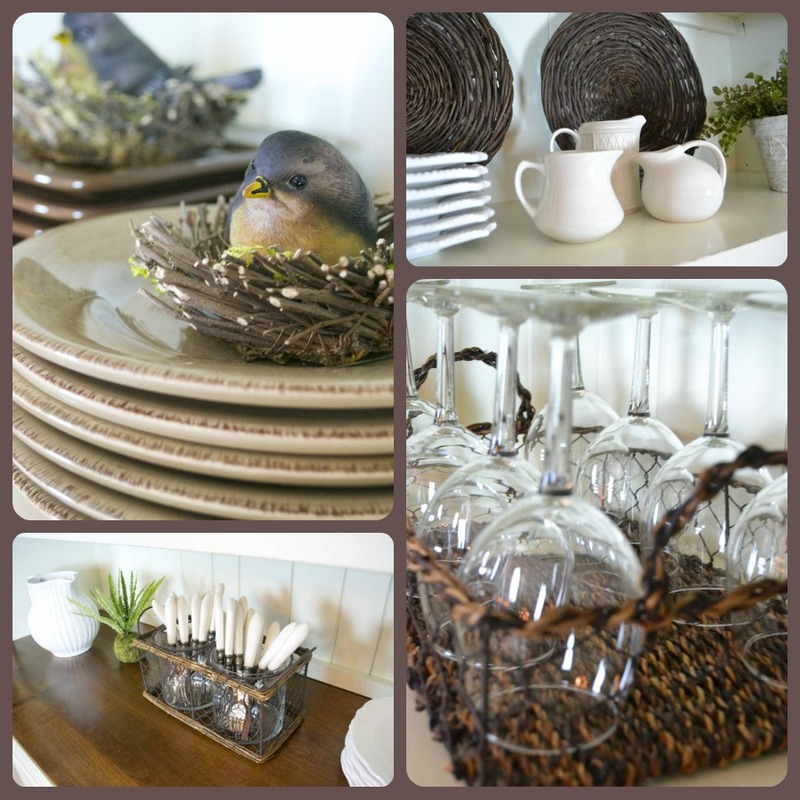 It's gorgeous, and we will all have fun following along as you style the shelves. Ann, I am with you - I had rather have new furniture, than a new car any day!! Your hutch is fabulous and having it made to your specs is terrific. I had a new piece built into my kitchen, during a kitchen re-do three years ago. and it is already full! 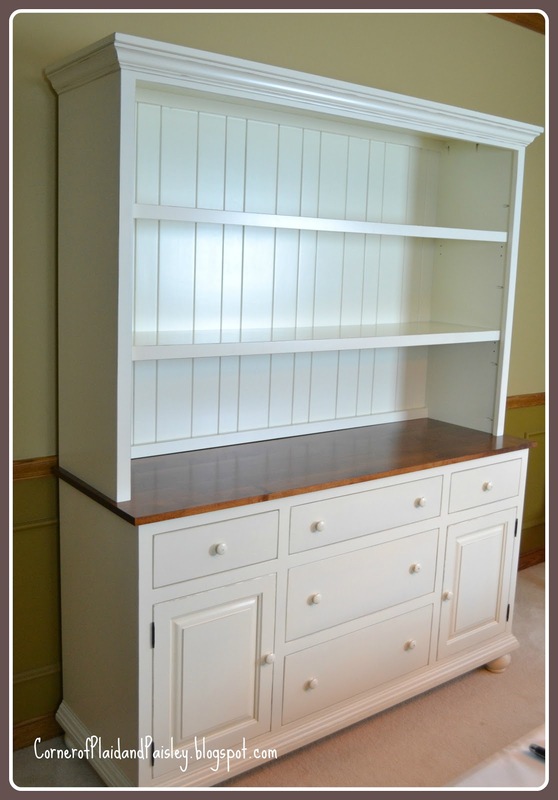 I am now looking for a piece to go into a bedroom for books and china! Yikes!! I would always choose a nice piece of furniture over a car any day of the week...your new hutch is gorgeous. Your new hutch is beautiful and your first hutch display it wonderful. I'm with you kid!!! A new hutch....what fun!!! We think alike! Hope you can stop by the enchanted oven to say hi. Yay! What a great hutch! I love it! It reminds me of the one I have except yours is so much nicer..larger and without dividers on the shelves. I like the bead board back, too. Great job of styling it, too. Visiting from The Tablescaper. I cannot believe you did not call and tell me about your new hutch!...............love it but it still will not hold all your dishes I am sure LOL!!!!! Beautiful! Congratulations. So neat when a plan comes together. I'm loving what you've got on those shelves too! 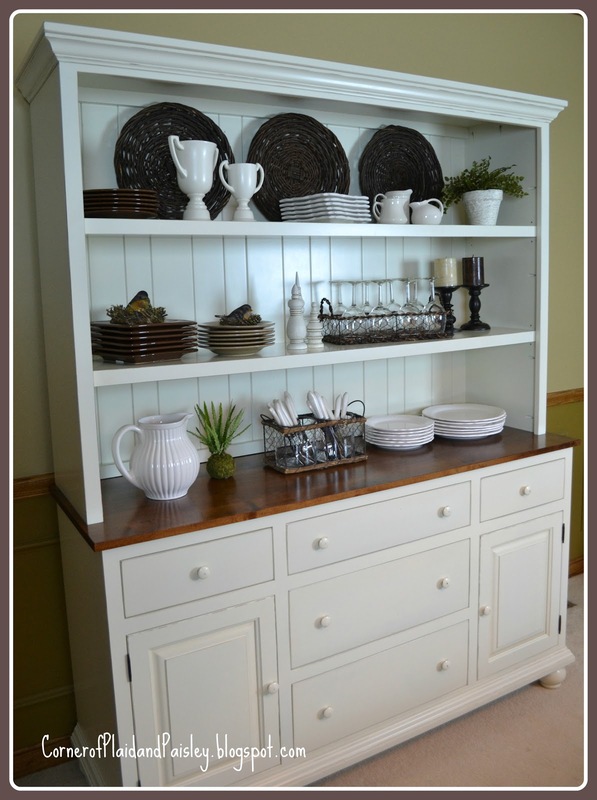 What a beautiful hutch! love it.